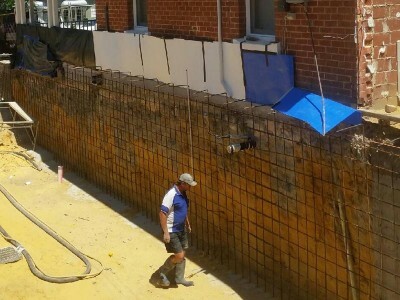 Chemical grout soil stabilization is becoming very popular with deep excavation sites where the common types of soil retention such as Contiguous Piling or Shore Piling are far too expensive and there are concerns with damage to neighbouring properties from vibration. BMC Chemical Grout Injection is Perth’s most cost effective grout injection company. 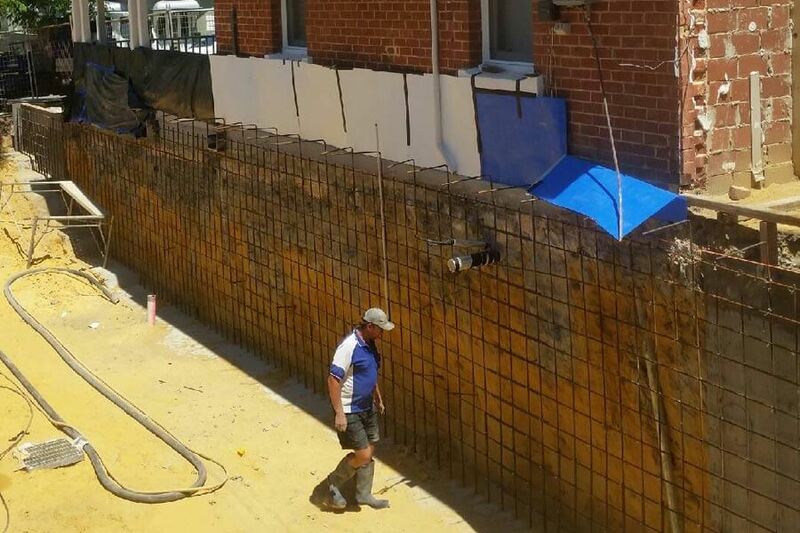 We provide a safe cost effective solution compared to other soil stabilization underpinning methods such as Contiguous Piling, Shore Piling etc. We offer a unique advantage being there is no disruption or settlement movement to existing fixtures and adjacent properties whilst works are being carried out. Microfine Grout is installed below existing structures and adjacent to excavation sites to solidify the soil. 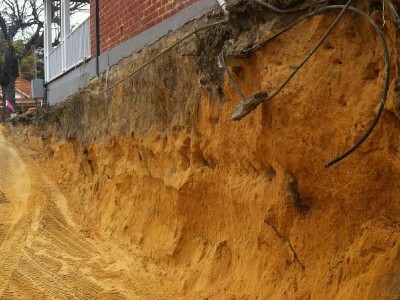 This allows deep excavation to be carried out next to the structure without the risk of it being undermined. BMC Microfine Grout is classed as non toxic and not obtrusive to existing plants and vegetation. Ask how we can help with advice on, Building applications, neighbours consent forms and local shire requirements. Settlement issues such as house cracking because of soft footings and voiding under slabs are common. 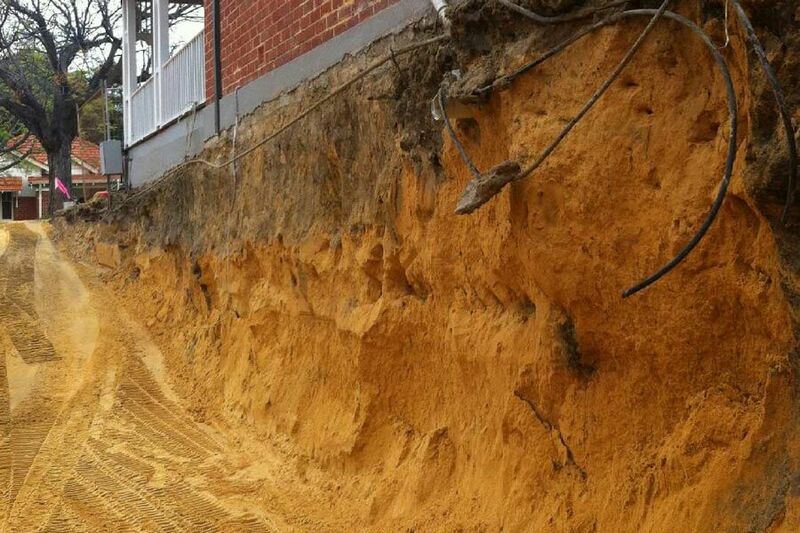 BMC regularly carry out underpinning and ground improvement works to secure existing fixtures. Installation is a simple process, either injecting directly into the soil under the existing footing or core drilling through concrete slabs and floor boards for installation access if required. Once installed the grout blocks will arrest any sinking and ensure that no further damage is caused. The building can then be monitored in future ensuring the technique has worked, after which remediation works can be completed. Grout injection can be used to waterproof underground leaking buildings. 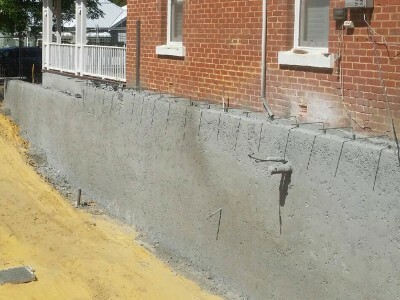 During backfill and compaction objects left in the ground from the building site can rub on the applied waterproofing making it ineffective. Repairing this type of problem from the back of the wall can be difficult and sometimes even impossible. BMC can repair the area by installing a continuous line of water repelling grout behind the structure. 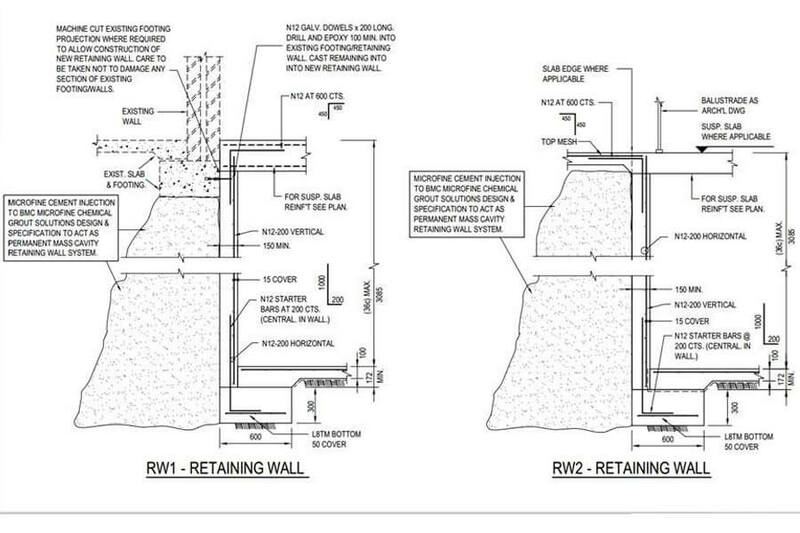 Alternatively if there is no access from above patchable holes can be drilled through the wall surrounding the leak and sealing it from the water in the ground. Many walls fail early in their life and are expensive to tear down and reinstate especially in cases where they are supporting structures built after the wall. 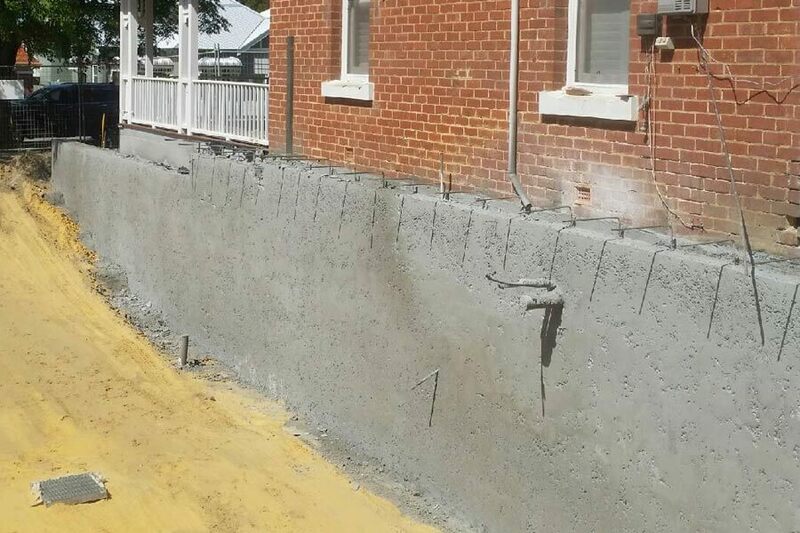 Failed retaining walls are often very expensive to repair or replace especially in cases where they are supporting structures which have been built after the wall. 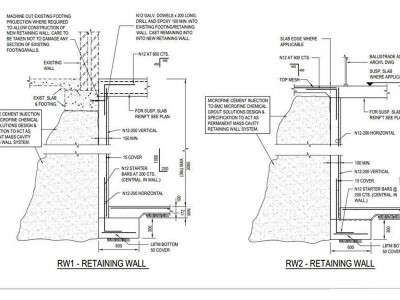 BMC can install a cementious mass behind a wall, increasing load-bearing strength. Also grout works can be carried out underneath existing failing retaining wall footings preventing further settlement and rotation. This prevents the walls from complete failure in the future and extends its working life. BMC Microfine work with Certified engineers to provide the optimum and most cost effective solution in foundation and soil stabilisation disciplines. Our engineering service specializes in design, construction and certification of completed grout injection works. BMC Microfine cement has no soil polluting properties and is classed as non obtrusive to existing plants and vegetation. Installations are carried out with batching of materials being carried out to the front of the property and hoses being wound out to injection points. Job completion leaves little to no mess and spoil being left on your property. Looking for Perth's Best Chemical Grout Injection Company?